For hints and discussions on Cute Knight and Cute Knight Deluxe. Are there any 'ending' cheat codes for Cute Knight/Cute Knight Deluxe like there are for Cute Knight Kingdom? Is there an 'ending' code for Cute Knight/Cute Knight Deluxe? If you are a believer of Jesus Christ, and are 100% proud of it, put this in your sig!! 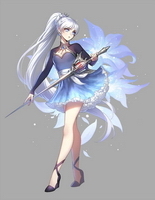 - Ariel Schnee, twin sister of Weiss Schnee. And Loyal Servant of The Royal Pony Sisters, Princess Celestia and Princess Luna... Forever Equestria!